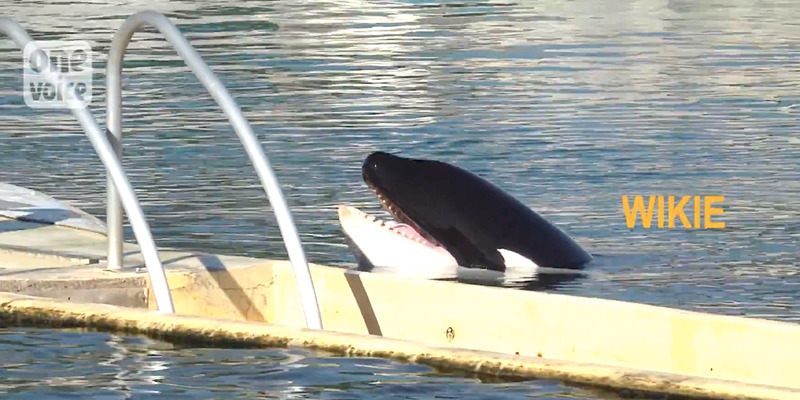 LisaKristin1501/YouTubeA still of Wikie in Marineland, Antibes, from a video published in March 2017. Wikie, a 16-year-old killer whale in France, made headlines on Wednesday after audio was released showing that she’d learned how to mimic human speech. But while many were amazed by the sound of an orca recreating words including “hello,” “bye bye,” and “one, two, three,” animal rights activists were furious. 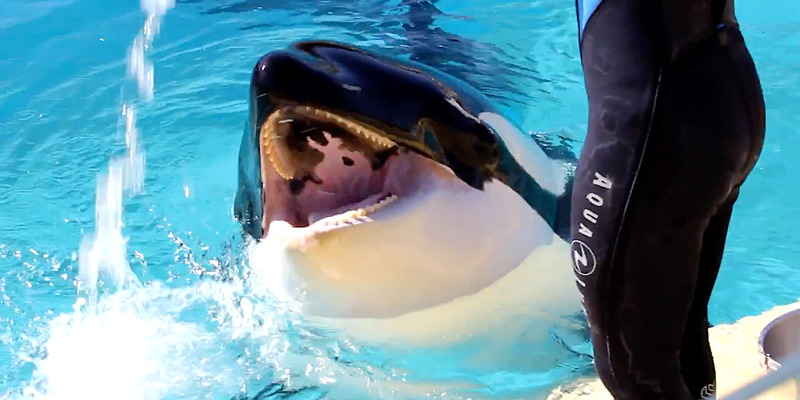 Four animal rights organisations told Business Insider that Wikie’s training was cruel and inhumane, and that she should be free rather than in captivity. The Earth Island Institute, a California-based environmental group, and the London-based World Animal Protection also criticised Wikie’s performances at Marineland. Elisa Allen, the director of PETA (People for the Ethical Treatment of Animals), said it was “deeply ironic” that Wikie is seen as a scientific breakthrough, but remains “imprisoned” at a marine park. “How deeply ironic that this research, which speaks volumes of the emotional intelligence of orcas, was conducted in a marine park’s cement cell, where they’re imprisoned and denied everything that’s natural and important to them in order to make money from tourists. “And how sad that while the orca Wikie was being studied, all she could do – other than try to get the researchers’ attention in a way that humans themselves can’t even figure out how to reciprocate – was swim in tight circles in her own diluted waste. One Voice/YouTubeA still of Wikie in Marineland from a video published in November 2016. “On the one hand, the finding that orcas can imitate human words excites us. This is evidence of complex communication and learning ability in a species that was previously unknown. “However, on the other hand, this research was conducted on a captive orca held at Marineland Aquarium in Antibes, France – a place that forces dolphins to perform unnatural behaviour in shows. The Marine Conservation Society also tweeted: “Can’t they hear it say ‘set me free'”? CETACEANS IN CAPTIVITY = NOT OK ??? ?